Triangular waveforms interacting in harmony. 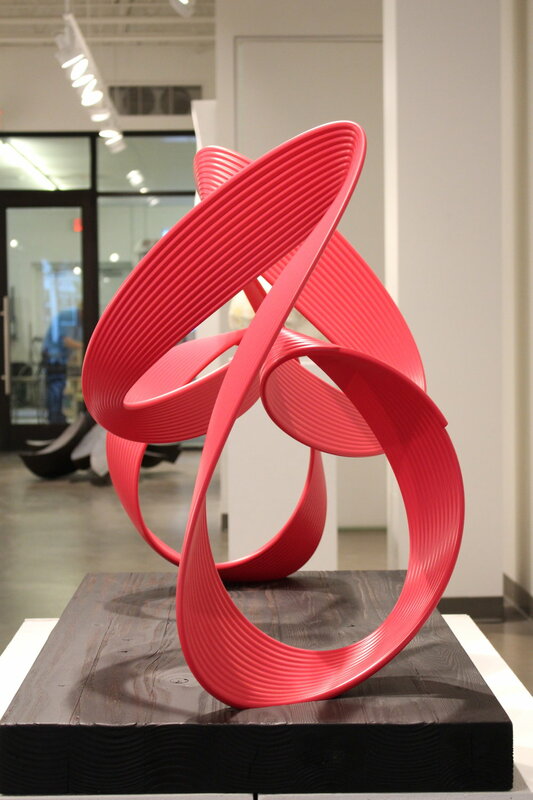 Sculpture representation of several frequencies affecting a single recirculation. Sculpture representation of a Musical Perfect Fourth. Sculpture representation of the "Devil in Music", or better known as Tritone. The name "Diabolus in Musica" has been applied from the early 18th century, due to its dissonance. This is an interpretation of Alexander Scriabin's and Isaac Newton's theory on color and sound (synesthesia). This chord is composed by the Root (octave), minor 3rd, 7th, 11th and 13th. Sculpture representation of a Lateral Harmonic Fifth. 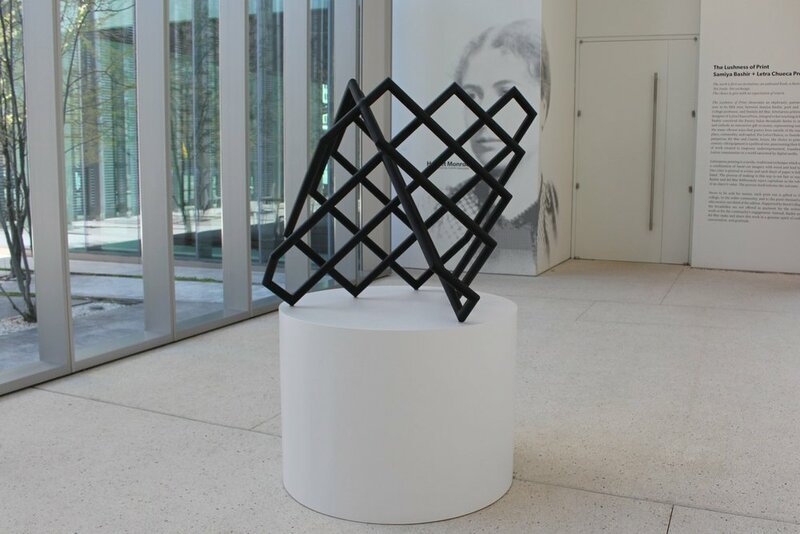 Sculpture representation of a Lissajous pattern. Sculpture representation of a Musical Perfect Octave. Sculpture representation of a Musical Perfect Fifth. Sculpture representation of several frequencies affected.